Getting married can be one of the most magical experiences a person ever has. However, sometimes an “I do” simply turns into an “I don’t” and, in those trying times, the world can seem as though it’s been flipped upside down entirely, with a long list of divorce expenses. Although a divorce may seem like something no one truly has a grip on, there are actually plenty of ways to prepare for the big expenses ahead of you and be ready to take them on when they arrive. However, the best way to be prepared for a divorce is simply by knowing what these expenses ahead of you are, and how much they actually cost in the long run. From there, you can enter the single world in a much better place, without winding up broke in the process. 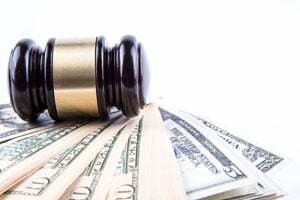 Although litigation is actually a far more common approach with divorce, mediation may be a far cheaper and more effective way to handle the situation. During a litigation, two attorneys are paid to negotiate, and possibly go to trial, in order to defend the personal belongings each party feels they are entitled to. However, in a mediation, a neutral third party works through decisions with the couple to come to an agreement. The main reason for mediation being a wonderful alternative to the traditional method of litigation is simply the drastic reduction of costs which come into play. An average litigation could cost up to $50,000 whereas a mediation only tends to cost a few thousand in comparison. If you and your ex are on speaking terms and can talk through your possessions in a calm and collected manner, then mediation is a wonderful way to avoid those initial divorce costs and leave the relationship on a positive and financially stable note. Although this does not apply to all individuals getting divorced, those who do have children tend to face far more divorce expenses both during and after the divorce process. In fact, whether you choose 50/50 custody, or to have one parent be the primary guardian, the divorce expenses during and after the case can be crushing. For instance, with a 50/50 custody, you may have to pick up the child from wherever your ex chooses to live after the divorce – and maybe pick them up from the other parent as well. For self-employed or telecommuting individuals, this can be a pain as it means their work area may have to double as a play area. On the other hand, individuals who work in an office outside the home will require daycare for their children, which can cost hundreds of dollars a month depending on the city and age of each child. If you will have sole custody of your children, and your ex-spouse can’t or won’t pay enough child support to keep a roof over the kids’ heads, clothes on their backs, and food on the table, then these financial issues become permanent fixtures in your life. As a de facto single parent, you will have to either make enough money to pay for daycare and other child-related expenses, or find alternatives through the help of the government and other aid programs. For some custodial parents, getting their ex-spouse to pay child support can be a tough row to how, and many custodial parents find themselves walking on a very thin tightrope above a sea of financial instability. And if you’re not the primary custodial parent, you may find your child support payments are funding the custodial parent’s extravagant lifestyle with little of it actually being used for the children’s expenses. With children already facing the psychological problems a divorce tends to have, this negativity between parents over expenses and custody is far from acceptable. With telecommuting and self employment becoming so popular, this expense is important to touch on. Although you may not work in the office every day, travel may be something your job entails. In the past, you may have been able to do this as your spouse was either able to watch the children or you had the financial padding their job may have provided to keep you afloat, even with travel expenses in mind. In fact, although some jobs cover travel expenses, many telecommuting and self-employment opportunities do not – but the travel aspect is still essential to the progress of either your place in the company or to market your own business’ products or services. In these situations, you must understand and be fully prepared for the financial instability you will more than likely face after divorce, and learn how to keep track of your travel expenses to counteract this. For instance, if you telecommute, you may be able to deduct these annual travel expenses when completing your taxes. If you filed for an extension, and you travelled at any period during this year, you may be able to deduct these expenses by proving that they were business-related. Similarly, you may also be able to deduct your mileage rates as well, and this simple deduction could save you quite a bit in return. Although this may not be news to you, these simple deductions, combined with your decisions regarding child care, and whether you prefer litigation or mediation, could ultimately help you to smoothly pass through the divorce without busting your wallet in the process. In the end, money isn’t everything, but a divorce and divorce expenses tends to focus on just that. By looking at the alternatives to these costly aspects of your divorce, you can focus the event on more important things, like learning to love again, and ensuring your children are okay as opposed to the typical resentment and depression that come along with this decision. After all, divorce is simply a transition into a better and less stressful life, whether it appears that way at the time or not. The choices you make could actually help you to set yourself free again to love and live once more.